You may have heard of the popular affiliate program software like iDevAffiliate and Post Affiliate Pro. These affiliate systems are great and outstanding. But what if you have just started your small business and don’t want to spend much on your affiliate program? No denying an affiliate program can boost your business several times. An affiliate program can earn you huge profit without you spending almost nothing. There is a big craze of affiliate marketing and many people (including me) are used to searching good stuff to promote on their website to make affiliate commissions. I make 70% of my online income via affiliate marketing. Roughly said, millions of people are involved in affiliate marketing and the number is growing by leap and bound. WordPress is one kind of Robin Hood. WordPress offers high level functionality with least cost in the web design industry. Cutting edge developers have got involved in the development of WordPress themes and plugins. With the help of several wonderful plugins you can extend the functionality of your WordPress website in multiple directions. If you are running your website on WordPress, you can use it as an ecommerce portal, membership site, data management system, blog, project bidding website and whatever you want at the same time. In the same way you can also add an affiliate program to your WordPress site. Most of the premium WordPress plugins comes at a very reasonable price and anyone who just start his business can afford these plugins. from the same developer (Pippin Williamson) who founded the most powerful digital shopping cart, the Easy Digital Downloads. 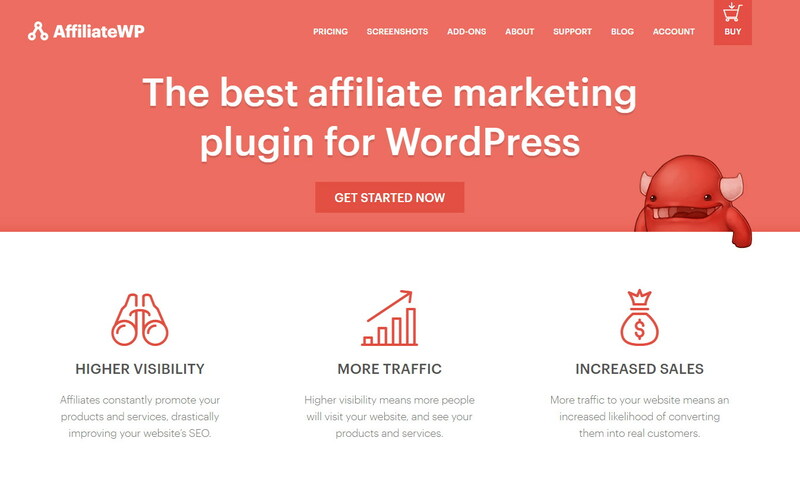 AffiliateWP, in WordPress sphere, seems to be out and out the best affiliate marketing plugin and a close match for the most popular affiliate marketing software, the idevAffiliate. With the help of Affiliate WP, you can integrate top-class affiliate system to your shopping cart or membership website at the cheapest possible price. AffiliateWP costs you just $49 and I doubt, you can’t find a cheaper solution at this point of price. AffiliateWP comes with a complete set of options to customize. From a small ecommerce website to a big portal, AffiliateWP offers various addons to extend its functionality. If you want an affiliate system for your website which is selling something, AffiliateWP lets you create it only for $49 and you will get 15 free addons to enhance the functionality of the affiliate portal. No need to pay heavy amount of money to get affiliate software. For example, if you buy Post Affiliate Pro you need to pay $299 to $1899 while iDevAffiliate can be bought from $199 to $399. But with AffiliateWp, you can setup a full featured affiliate program starting at only $49. This is a big difference and with AffiliateWP, most of the entrepreneurs can take the advantage of magical realm of affiliate marketing. 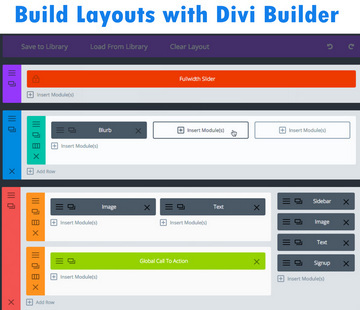 This plugin can be installed from one to unlimited websites. If you are in web design business, you can get unlimited site license and install on as many sites (including clients’ sites) as you want. AffiliateWP doesn’t requires separate installation on server and no additional database is required. It is 100% a WordPress plugin. All you need to do is uploading the plugin > activate it and set up options via your WordPress admin panel. If you are using WordPress, you will hardly think of using any other ecommerce plugin than WooCommerce or WP eCommerce. If you do so, you will not go beyond Cart66 or Easy Digital Downloads. AffiliateWP works with all these. If you are running a membership site with MemberPress, Restrict Content Pro or Paid Membership Pro, you can boost your subscription sales integrating them with AffiliateWP. This plugins also supports Gravity Forms, Ninja Forms and Formidable Pro (only select licenses). Generally a core plugin includes most of the features and additional features are available as paid addons. To avoid bloating of the plugin 15 core features are available as free addons. You can add only what you need. No affiliate software (outside WordPress) offers unlimited site license. Even iDevAffiliate doesn’t. When it comes to AffiliateWP, for web design agencies, unlimited site license is available. On the other hand single site user can go for one domain license. you hate paying every year, right? no worry. you have an option. You can get updates and support for life (of the plugin), buying the Ultimate license of AffiliateWP. However, it will cost you more than yearly licenses. But if “lifetime + unlimited sites” comes together, it will always be big deal. A confident company always takes care of customers satisfaction and so is AffiliateWP. You are entitled to full refund up to 30 days from the date of purchase. So if you are interested to try plugin, purchase it and then cancel your package within 30 days and you will get all your money back. Affiliate Royale is created by the very developer who created MemberPress, one of the most amazing membership plugin for WordPress. Affiliate Royale is a plugin that lets you add a comprehensive affiliate system in your WordPress. Affiliate Royale is however waiting for some advanced options like custom landing page creator, referring url tracking reporting, but as it backed by warm blooded developers, we can hope, it will be getting new features perpetually. Regardless of some missing advanced features, Affiliate Royale is built on a strong foundation of code and includes all of its features in its core yet un-bloated. You will not bother yourself with installing addons for some functionality. Affiliate Royale comes with the single site to the unlimited site licenses. So you can kick-start your affiliate program within a few minutes. Affiliate Royale is compatible to many popular ecommerce WordPress plugins including WooCommerce, MemberPress, Cart66, Easy Digital Downloads and WP eCommerce and many more are to come in future. Currently there are two kind of licenses available of this plugin. Single site and unlimited sites (including client sites). If you need an affiliate system for your own website, you can buy single site license. On the other and if you are in web design business, developers edition is best suited for you as you can install Affiliate Royale on unlimited websites without any additional cost. Being a WordPress plugin, Affiliate Royale can be installed easily. With its setting page, getting affiliate system ready is as easy as a piece of cake. All options are found in one page to customize. 12+ integrations are available including WooCommerce, WP Ecommerce, Easy Digital Downloads and Cart66. 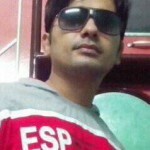 Affiliate Royale works with all popular ecommerce plugins of WordPress. It can track sales of WooCommerce, WP Ecommerce, Easy Digital Downloads, Jigoshop, Additionally with the help of tracking pixel, you can integrate it with many other shopping cart softwares, Cart66, Super Stripe, Shopp, MemberPress, MarketPress, Authorize.net ARB, PayPal etc.. They don’t offer unconditional refund and if you want just trying the plugin, you will not get any refund. You will be qualified for a full refund, if support staff fails to resolve your issue with the plugin.